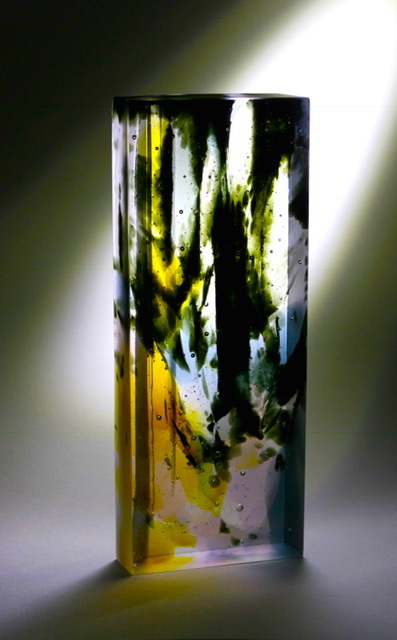 Jade Pinnell specialises in kiln formed glass. Architecture and the beauty of natural light are her main inspirations. ​"Glass itself inspires me. 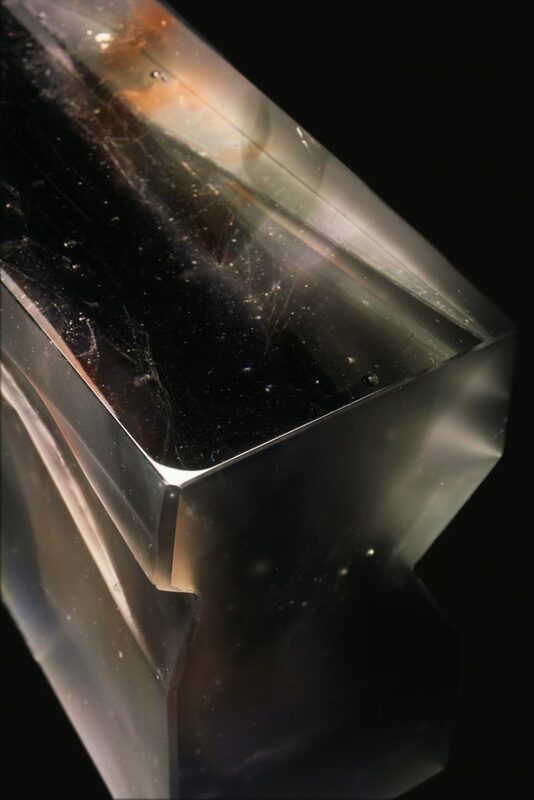 It is a beautiful, yet challenging material and I love its slight unpredictability." "I am inspired by my ever-changing surroundings and I am fascinated with how natural light interacts and contrasts with manmade environments. My inspirations come from places close to home and as far away as Thailand. I use the cast glass technique to capture a fleeting moment of interaction between light and architecture. Angular forms are used to create the illusion of more depth, which accentuates the flow of colour inside the pieces. Colour is so important. I use carefully selected colour compositions as a way of creating atmosphere and communicating a sense of time."